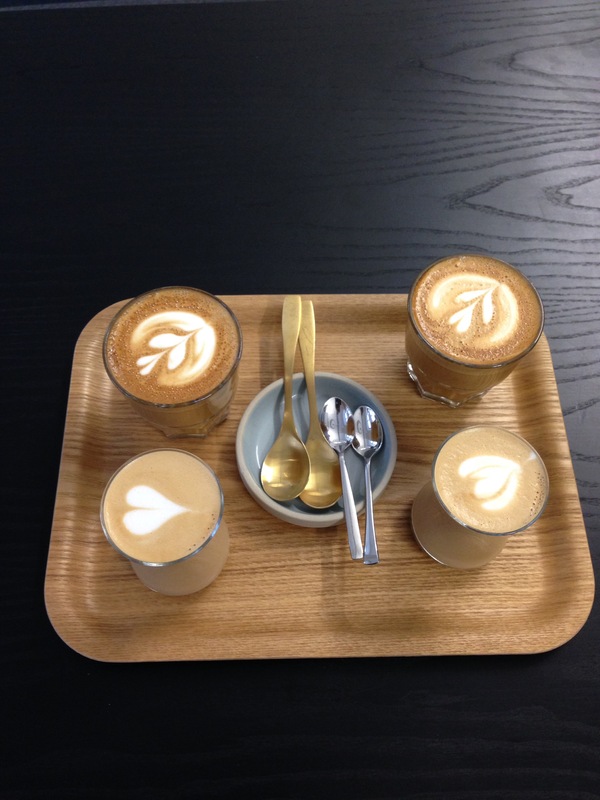 A few weeks back a colleague sent an e-mail inviting me and two other guys to meet for lunch because she had never met three people so passionate about coffee. 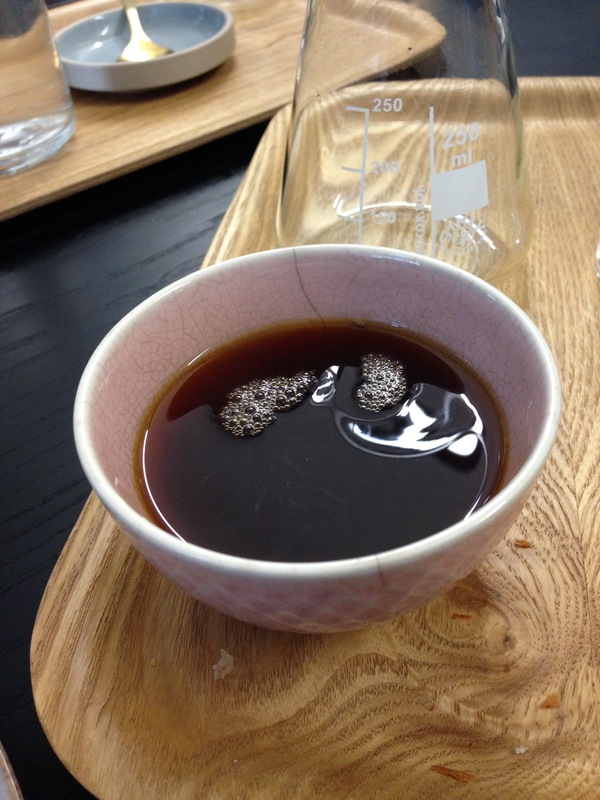 she thought it a good idea to get some coffee geeks together – a great idea. Because before we knew it, we even had a name”Specialty Coffee Society” – we just need to check if we can officially create one at the UN in Vienna. Before you knew it we were exchanging ideas on coffee and just this past weekend we decided to check a cafe out to start our “coffee crawl” missions. So, we decided to try out Sussmund – which means “sweet mouth” in English – how appropriate. To be honest I’ve heard about Sussmund for a while now. 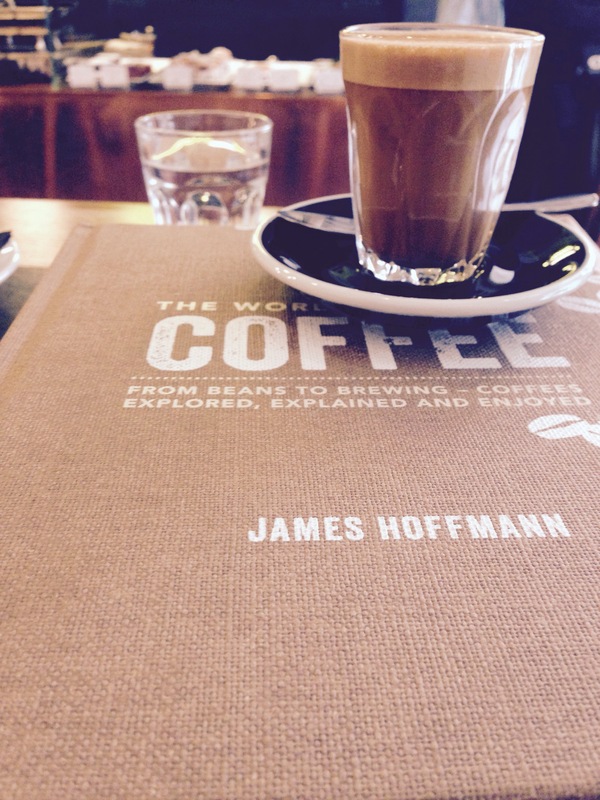 Started by Nikolaus Hartmann, the roaster – it focused firstly on selling roasted coffee to cafes and restaurants, and it still does. One of my fave cafes in Vienna, Cafe Jonas Reindl, usually has sussmund coffee on their grinder as their house blend. 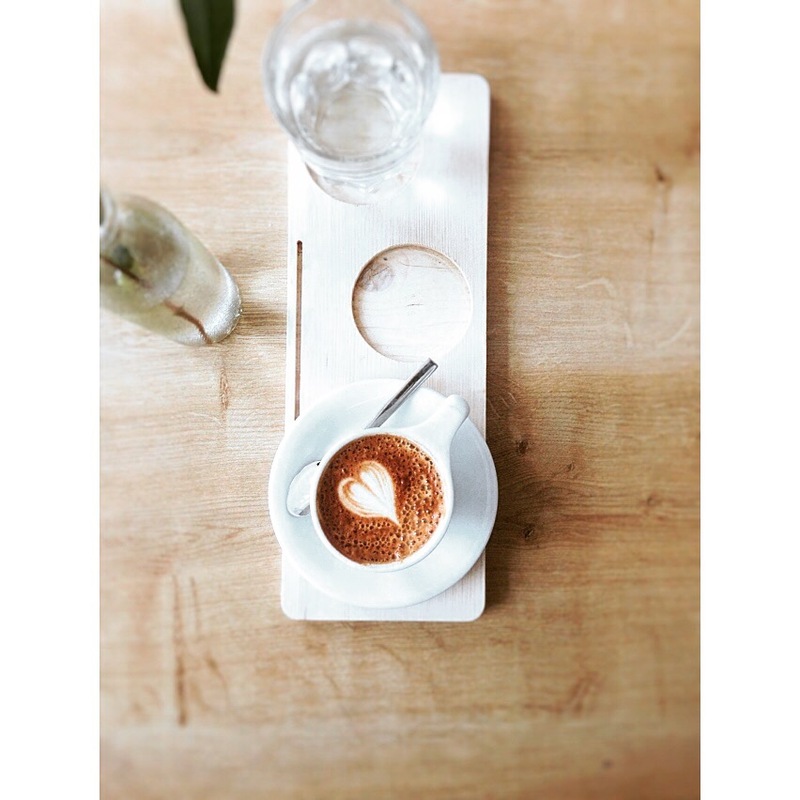 In fact for a few months they also had a pop up shop in the heart of Vienna, which I was lucky to visit and had a piccolo (made like a cortado) see below, where I also met with Nikolaus and had a chat about how he started, his mission and vision too. 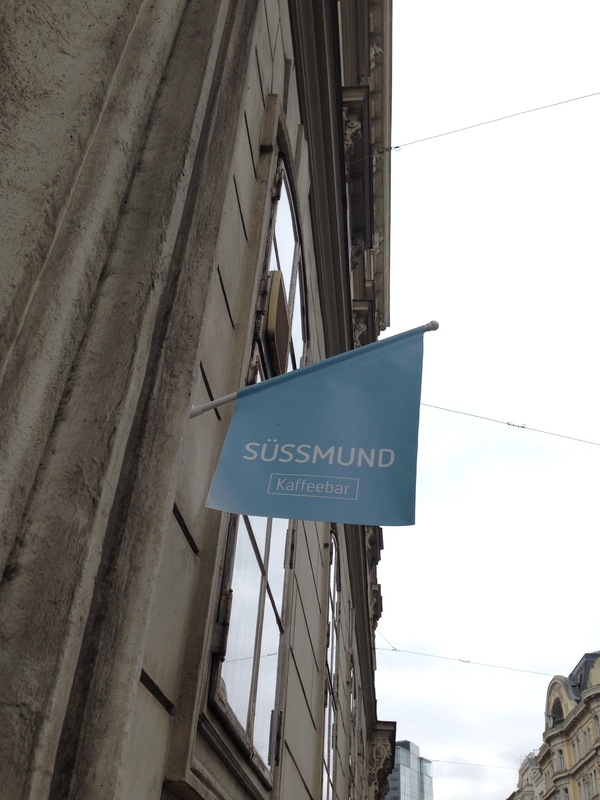 But I’m glad to report that at the moment they have a mainstay, Sussmund Kaffee just off the centre, located on Dominikanerbastei 11 • A-1010 Wien – opposite the iconic post office, designed by the renowned architect, Otto Wagner. The cafe is actually located inside a furniture concept store, so you can grab a cup of coffee and sit on designer furniture and relax – of course if you really like the furniture, you can buy it too. 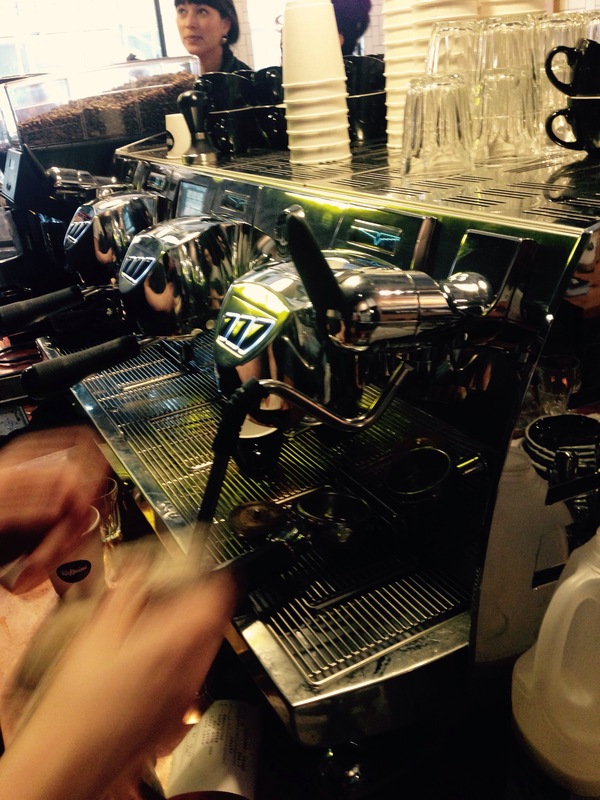 A little smallish but they have all gadgets – the Black Eagle espresso machine, all the filter brewing options using their coffees, roasted coffee for sale and brewing gadgets and accessories. 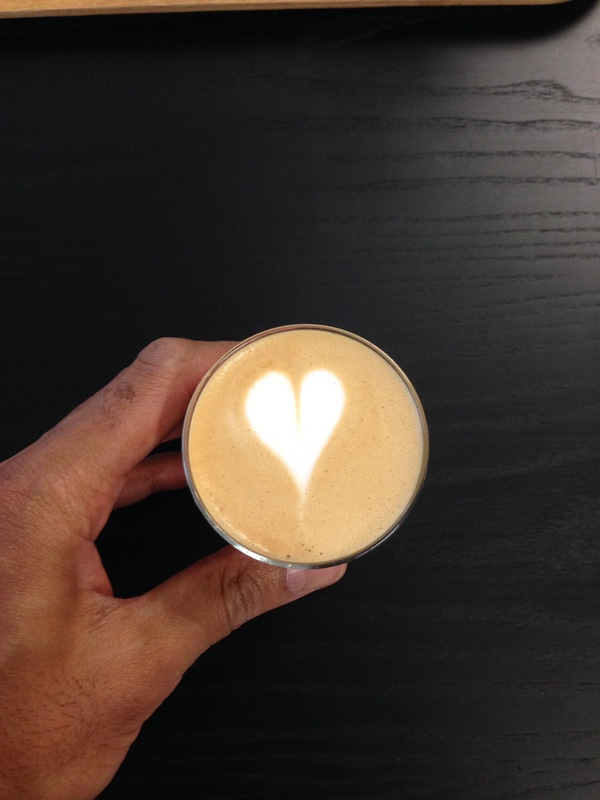 To try out this espresso milk based skills – you know my pattern now – I tried a cortado using a fruity coffee from Ethiopia and my colleague followed suit. She was so intrigued that coffee could taste sweet and not need any sugar and more importantly leave a pleasant fell in her mouth – another convert made to the world of coffee can actually taste sweet and not bitter. 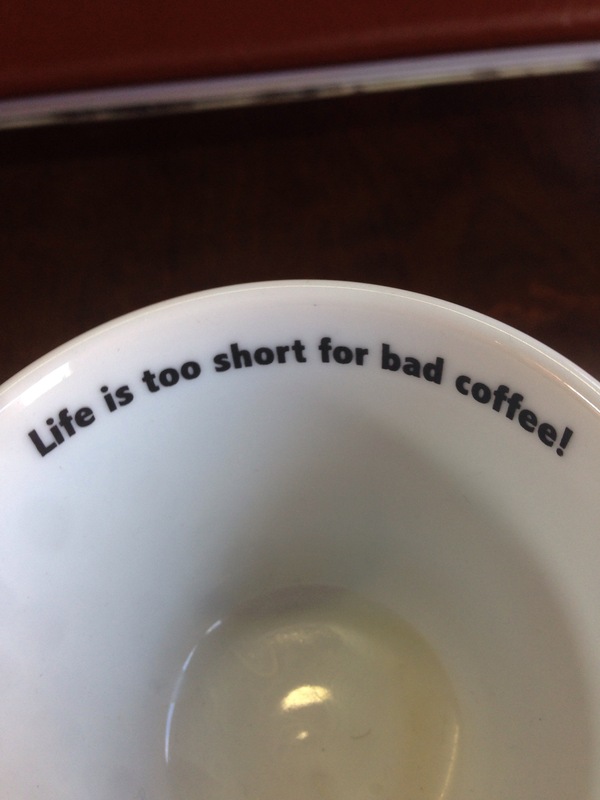 In fact, I said that we don’t usually describe coffee as “bitter” but more appropriately, “sour”, running through the 5 taste elements of sweet, sour, salty, hot and finally umami. So, I digress come d’habitude. For our second round we went full on filter, Hario V60 and Aeropress. I tried a berry medium acidity Guatemalan coffee, complimented by what I must say a rather French tasting croissant – i.e. it was really good. Also on offer, before I forget are chocolate brownie cakes, banana, walnut and chocolate bread, pastries and other treats. A nice brew, sweet and sour at the same time. I also waited for it to cool down to check if it would get more sour, but it didn’t, yay! 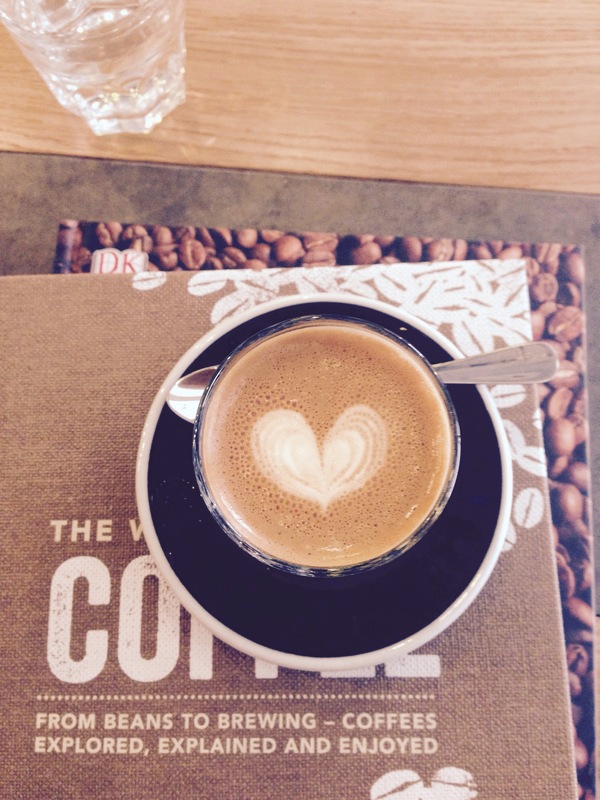 We really enjoyed the kaffee – it was Saturday, so very relaxed and before we knew it 2 hours had passed drinking coffee and getting to know each other. 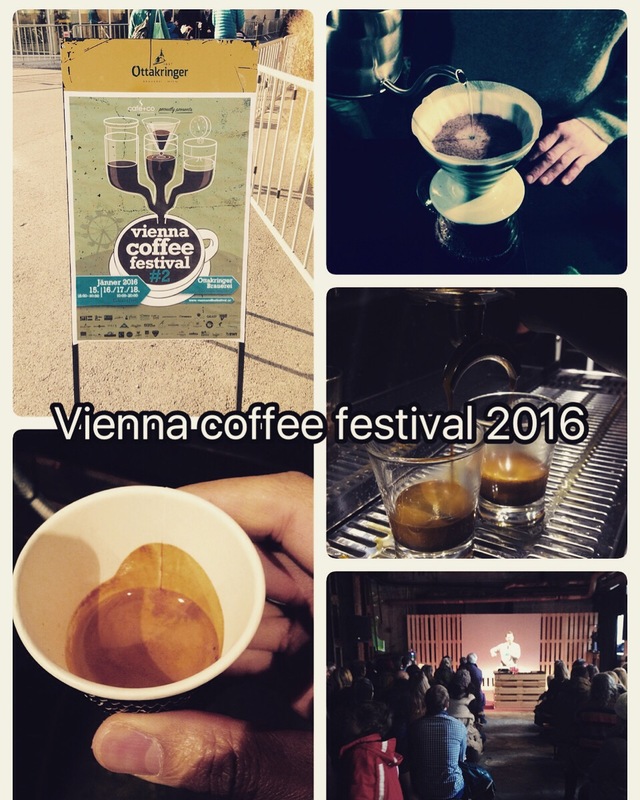 Looking forward to our next venture, which I hope will be a cupping session at another cafe, so watch this space for more on the Vienna Specialty Coffee Society. 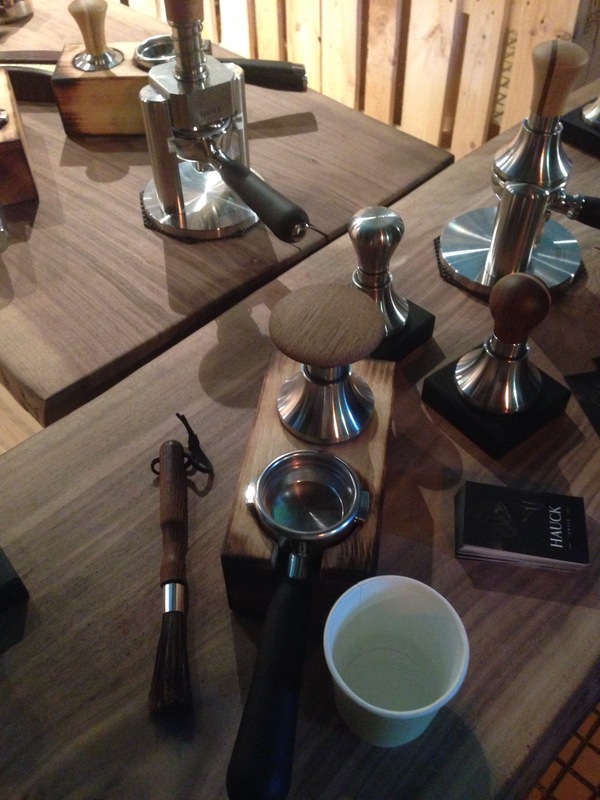 Probably the first revolution in tamping since the Espro tamper, way back over 10 years ago. So what’s special about it ? 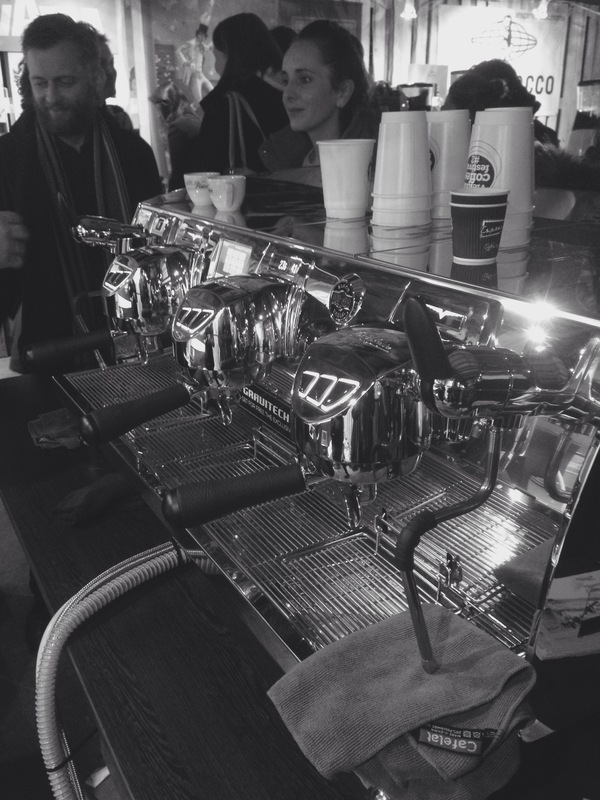 It’s made in Austria, using only Austrian materials, even the wood, but the most important thing is the built-in device that guarantees level tamping and hopefully a more consistent espresso shot. 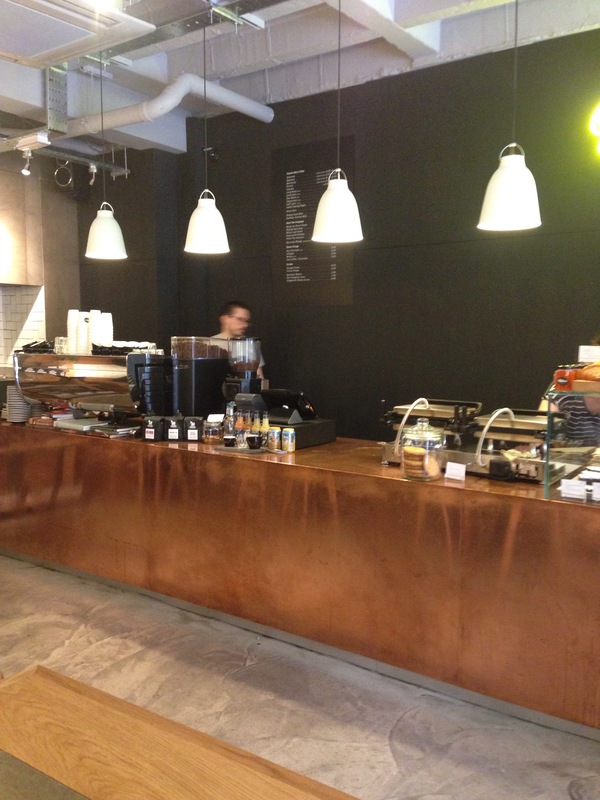 Well, I’ve already ranted on about this, after the last coffee event and during my visit to Kaffeine 2 in London. 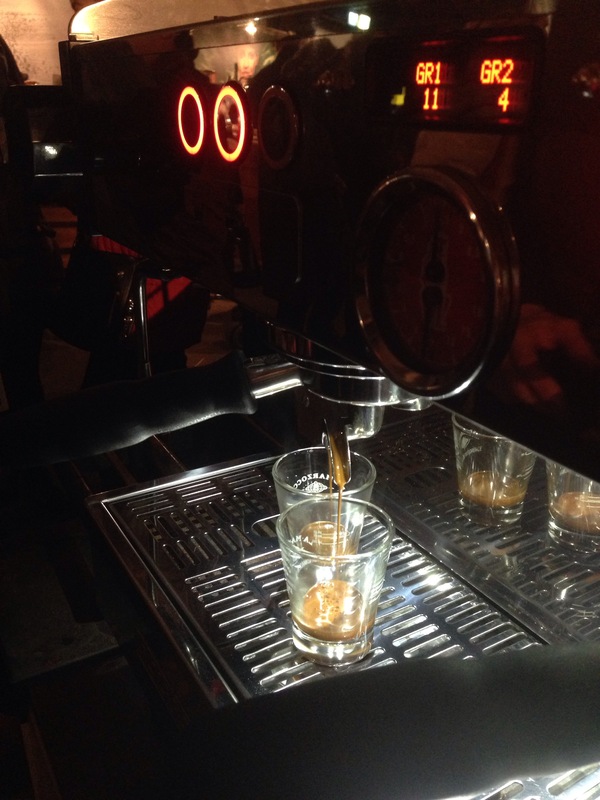 In short, it’s a very special machine – the most expensive espresso machine in the World, etc. I was happy to learn that Jonas Reindl in Vienna now have one and so does top roaster and coffee connoisseur extraordinare, Jo Wechlesberger of Vienna School of Coffee. 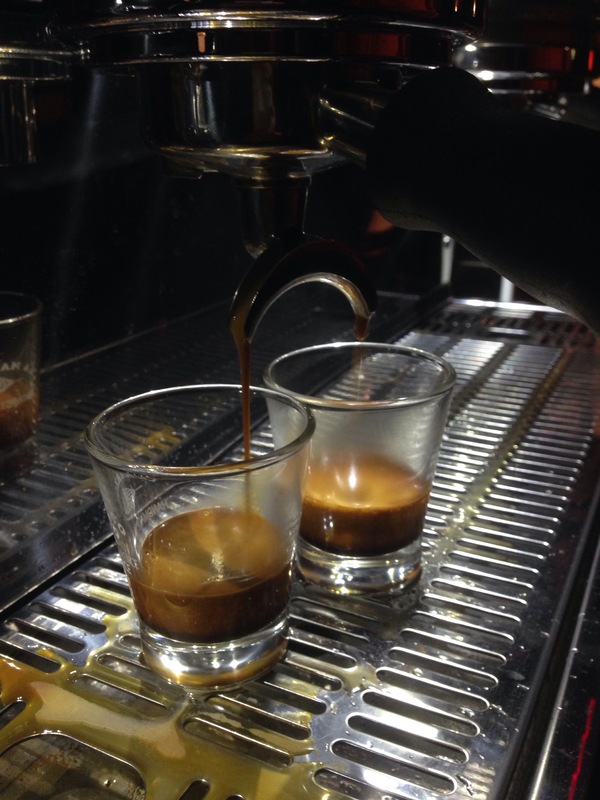 The main distributor, Christian Kaiserseder, was happy to learn that I knew of the machine, made me an espresso and also told me about their new revolutionary grinder, which maintains an extraction temperature using flat burrs. In short, the more you grind in a typical grinder, the warmer the machine becomes affecting the freshly ground coffee and hence taste. Still on machines, glad to have met Espresso Solutions owner Reinhold and his team again, who had the Linea Mini-Home on offer for today only at the bargain price of EUR3,600. In any case, things have really changed as it’s been almost 10 years when I first met Reinhold and we lamented about how there were no cafes in Vienna with a La Marzocco machine. I hung out with Charlie Furth (Fuerthkaffee.eu), another Vienna based roaster, whom I’ve know for several years as our kids attended the same kindergarten – our kids are now teenagers. In any case, I waited to taste his latest offering, an Indonesian Coffee from Bali, which had a pineapple acidity and something mysterious. Upon entry, you are greeted by Jo and her coffee jeep and caravan, which has been pimped up as mini cafe, offering very high quality coffee – probably the best mobile coffee cart in the World if you consider who’s running it – top barista, top coffee roaster, top SCAE judge – need I say more. She’s only one of the exhibitors selling coffee, coffee bags and crepes, but she’s raking it in, as also there were lots of coffee exhibitors using her coffee inside. 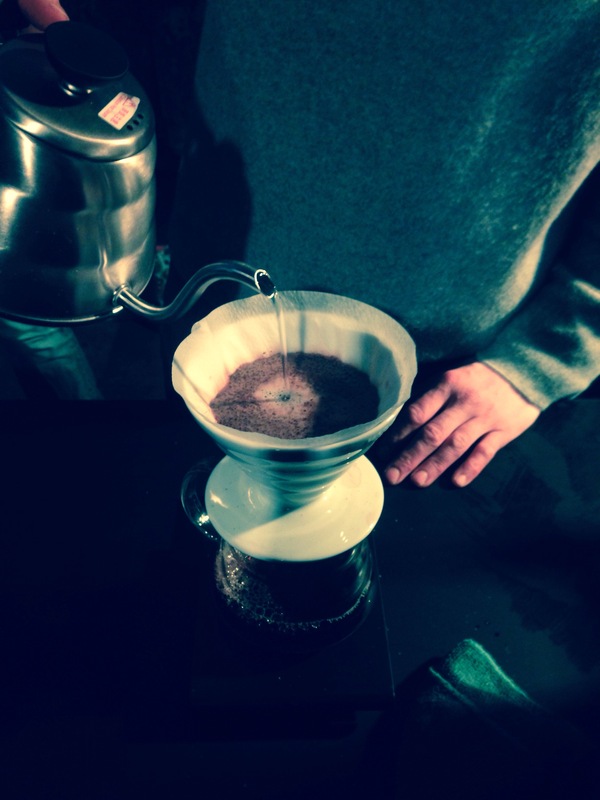 Fro 2016, Jo plans to get back to basics, brewing coffee with love, yay!!! 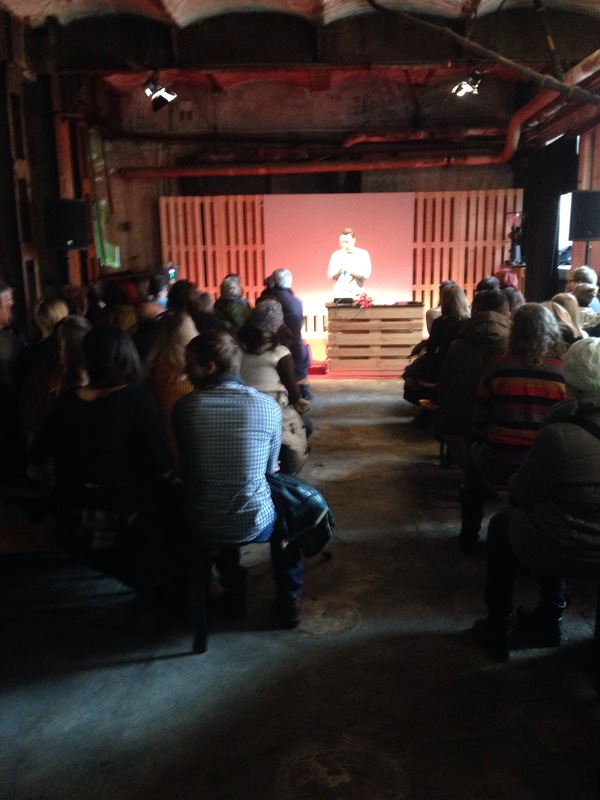 On the first level, there’s a coffee theatre, where pros share their knowledge with willing ears. I passerby quickly to hear a Brit from Falcon Coffee giving a lecture on coffee tasting and also met Mr Andreas Idl, CEO of Cropster, who develop “Software for coffee roasters, cuppers, traders, and producers to make consistently great coffee” and work with Workshop Coffee and Square Mile Coffee (two of my fave UK based roasters). 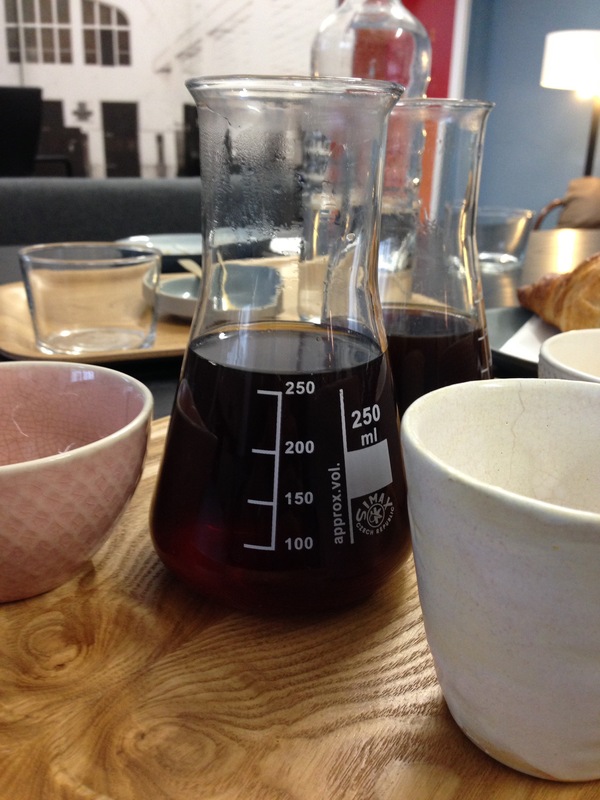 As you know, one of my fave coffee shops in Vienna, were serving high quality championship filter coffee using the chemex, aeropress and Hario V60 methods, as well as selling coffee, which seemed to be flying of the shelf too. 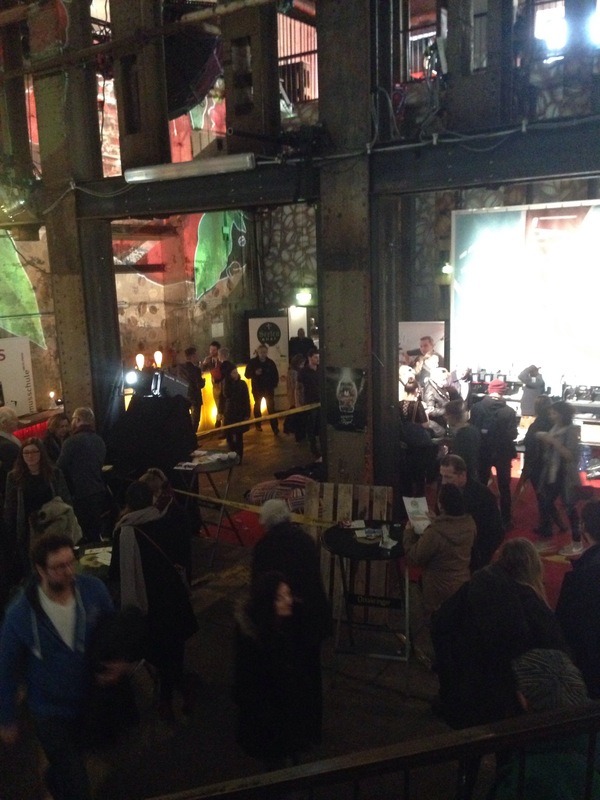 Also on show was the Austrian barista and latte art championships and some other events. 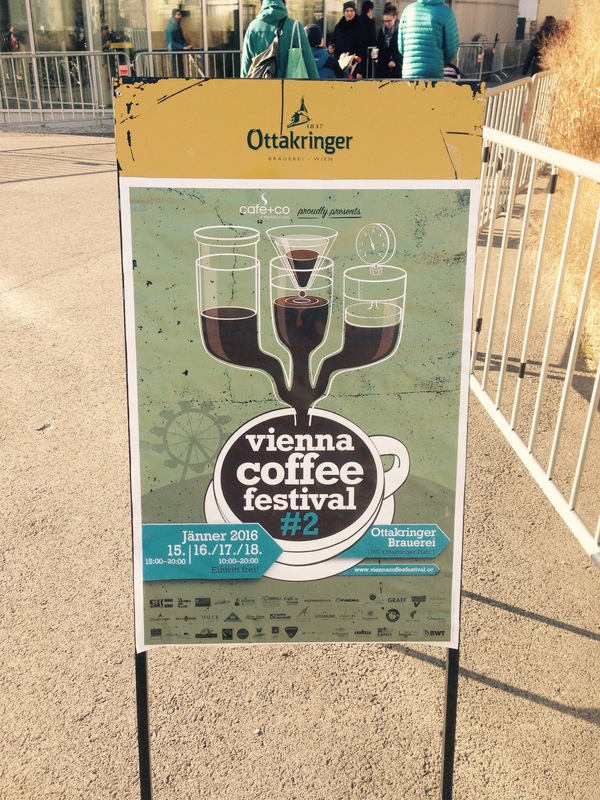 After 3 espressos, 1 filter brewed coffee and a cappuccino I was caffeined up and ready to go, but I was glad to visit what I hope will become a prominent event on the coffee scene in Vienna.